This afternoon, PennSound co-director and Kelly Writers House head Al Filreis announced a very exciting new project to usher in the new year. Now, whether you're in the Philadelphia area or anywhere else in the world, you can call Dial-a-Poem at 215-746-POEM (7636) to get the latest scoop on what's coming up at the Kelly Writers House, along with selections from past events. Press 1 to hear what's happening tonight or very soon at the Writers House, and 2 for highlights of upcoming events at KWH. You can also press 3 to hear a featured poem read at the Writers House taken from the PennSound archives (currently a 2000 recording of Thomas Devaney's "Sonnet"), and 4 for featured recording of Writers House-affiliated students. Finally, you can press 5 to talk to the Writers House staff. You can read more about this new project on Filreis' blog. Be sure to call in often, as the event listings will be updated almost daily, and the other features will change on a regular basis. 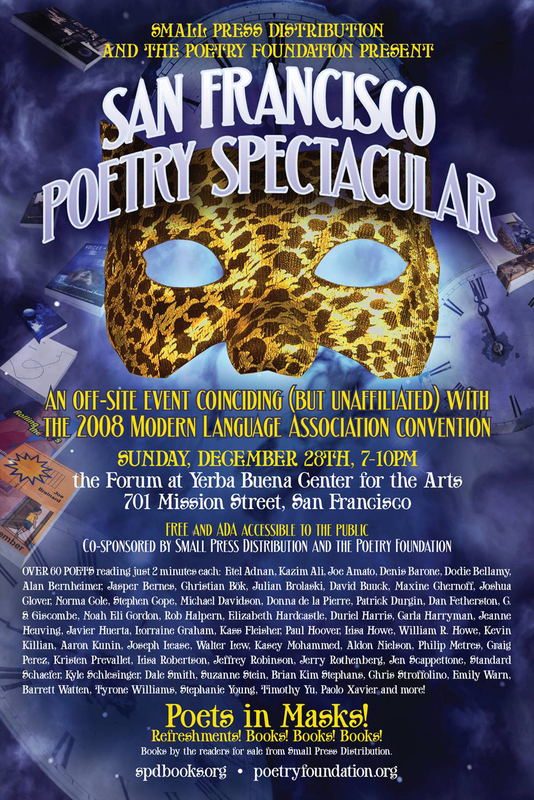 Thanks to Aldon Nielsen, we're able to present this recording of a sizable portion of the 2008 MLA Offsite Reading, which took place December 28th at the Forum at Yerba Buena Center for the Arts in San Francisco. Nielsen tells us "I'm sorry to say that I arrived late due to a prior commitment, and that my batteries ran out before the end (the replacement batteries having been mistakenly discarded by an over-eager table clearer at the previous event) — [s]o, this is roughly everybody from [Noah Eli] Gordon through [Jerome] Rothenberg." Between Gordon and Rothenberg, there's an impressive roster of poets, including Carla Harryman, Tom Orange, Kit Robinson, Paul Hoover, K. Lorraine Graham, Lisa Robertson, Kristin Prevallet, Kasey Mohammad, Walter Lew and Rob Halpern, along with Nielsen himself. While there are many wonderful poets who took part in the reading but unfortunately weren't recorded, we're very happy to be able to present this 90-minute excerpt from the event, and are grateful to Nielsen for allowing us to post his recording on the site. Also, if you haven't already done so, be sure to check out past MLA Offsite Readings from 2004, 2006 and 2007. We've just created a new author page for Marcella Durand, which features four full-length readings, and an equal number of ancillary (but no less exciting) recordings from 2000 to 2007. We begin with Durand's February 2000 Segue Series Reading at Double Happiness, an evening on which she was paired with poet John Yau. This is followed by a pair of readings as part of the Line Reading Series (the Lytle Shaw-organized series at New York's Drawing Center), in which she reads alongside Lewis Warsh and Lynne Tillman in September 2000, and Bernadette Mayer in May 2004. Finally, we conclude with another Segue Series Reading from March 2003, this time at its current home, the Bowery Poetry Club, in which she was paired with Prageeta Sharma. The remaining four recordings broaden our perspectives on Durand's poetics and her influences. We begin with "On French Symbolism," her contribution to September 2003's "A Night of New Translations", which also featured Craig Dworkin, Caroline Crumpacker and Eugene Ostashevsky. You can also hear Durand read as part of 2006's Barbara Guest Praise Day, the New York City benefit reading for Will Alexander, and EOAGH's Queering Language launch reading in 2007. You can read more about Durand on Al Filreis' blog, and click on the title above to start listening. Poem Talk 13: Kathleen Fraser's "The Cars"
Today, the thirteenth episode of the PoemTalk podcast series (and the first of the new year) has just been released — a discussion of Kathleen Fraser's prose poem "The Cars," taken from her 2004 collection, Discrete Categories Forced into Coupling. 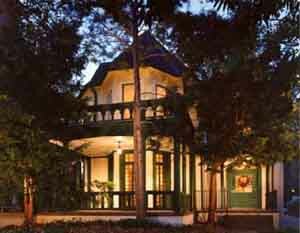 Joining PoemTalk host Al Filreis for this program are Kelly Writers House director Jessica Lowenthal, and two first-time panelists: Kristen Gallagher and CAConrad. Filreis begins by highlighting the poem's scary setting, which Conrad segues into fearful consideration of the female passenger/observer with whom he identifies, contrasted with the über-male pedestrian. The panelists explore the various clues Fraser gives us regarding that menacingly embodied character, however Filreis counters with a different interpretation — that he is indeed a vulnerable human body in a place intended for automobiles, his fate never revealed to us. Conrad leads the panelists into a discussion of the poem's light, both as a function of its early morning setting, and as a symbol of the poem's clarity and obfuscation, its brightness and darkness. Filreis then shares part of his correspondence with Fraser in which she divulges the real-life scene that served as the poem's inspirations, raising its stakes as we now understand it as both a gendered and racialized narrative — a female witness observing a "'black'" pedestrian in this precarious situation, and (as Gallagher reminds us) not stopping. Thus, for the panelists, the poem embodies the title of the book in which it was published; it becomes a study of "discrete categories forced into coupling." Lowenthal primarily sees this synthesis in terms of one's physicality in concert with an observer's certainty or uncertainty of it, which leads the conversation back to gender politic: the assumed male right of surety, as written in the body itself. 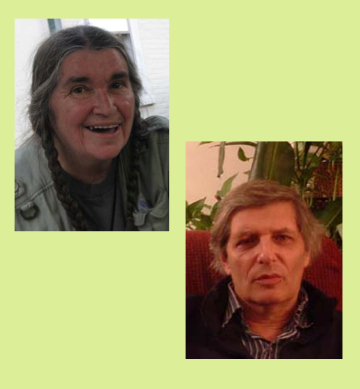 If you enjoy this program, be sure to check out the PoemTalk blog, where you can listen to the first twelve episodes in the series, highlighting poems from authors as diverse as Pound and Rich, Berrigan and Blonk, Armantrout, Ashbery and Oppen. Also, stay tuned for future episodes which will focus on the work of Wallace Stevens, Robert Creeley, Bob Perelman, and Lyn Hejinian, among others. 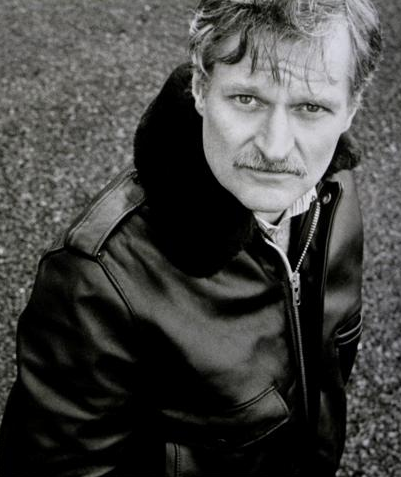 It's been a little over a year since PennSound added John Ashbery to our roster of poets, and in that time our Ashbery author page has become an extensive and ever-growing archive of the poet's recorded work, from Some Trees through to A Worldly Country. Today, we're adding four new and wide-ranging additions to the collection. First, joining more than a dozen complete readings already available on the site, we have Ashbery's May 17, 1977 reading at Oregon State University, which draws heavily from Houseboat Days, published that same year. 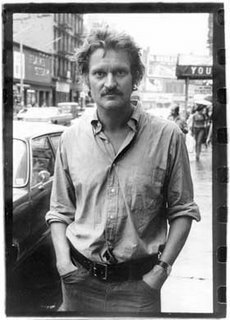 Running nearly an hour, the reading includes a number of standout poems from the middle years of Ashbery's poetic career, including "The Other Tradition," "Daffy Duck in Hollywood," and "Pyrography," as well as "Wooden Buildings," Street Musicians," Blue Sonata" and "Collective Dawns." He begins with an excerpt from "The New Spirit," the opening poem of 1972's Three Poems. While there are a a great many readings available on the site, we're also proud of the interviews, roundtable discussions and other critical recordings which broaden listeners' perspectives on this highly-influential, but also frequently misunderstood poet, and our remaining three new additions fall under this category. We begin with a May 5, 1966 interview with Bruce Kawin on WKCR Radio's "Literary Workshop," dating from the Rivers and Mountains-era, a particularly fruitful time for the poet. Ashbery starts the program with a reading and lengthy deconstruction of "These Lacustrine Cities," the first poem in that collection, prompted by the host's assertion of the cliché that contemporary poetry is nonsensical. Once this phrase-by-phrase, line-by-line defense (which takes up more than half of the program) is completed, the reading continues as one might expect, with "Rivers and Mountains," "Last Month," "Civilization and Its Discontents" and "The Ecclesiast." This is followed by Ashbery's March 22, 1979 lecture on the writings of Surrealist painter Giorgio de Chirico at the Poetry Project at St. Mark's Church in the Bowery — a recording which reminds not only of the poet's sideline vocation as translator, but also his long tenure as an art critic for the New York Herald Tribune, New York, Newsweek and ARTNews. Finally, we have a 1999 profile and reading as part of BBC Radio 3's "Contemporary American Poetry" series, which begins with a succinct, yet insightful retelling of Ashbery's life in writing, augmented by a brief reading that includes the sestinas "The Painter" and "Farm Implements and Rutabagas in a Landscape," along with "What is Poetry," "At North Farm," "At First I Thought I Wouldn't Say Anything About It," "No Longer Very Clear" and "Like America" — all of which are given lavish and revelatory introductions. Whether you've been reading Ashbery's poetry for decades, or are just discovering his work, you're sure to find new avenues to approaching it through the various recordings present on his PennSound author page. 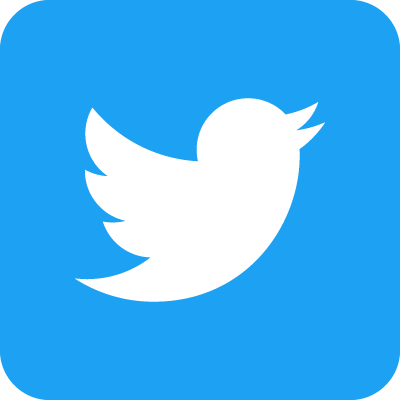 Click on the title above to start exploring, or on any of the linked selections above to be taken directly to the recordings mentioned in this entry. 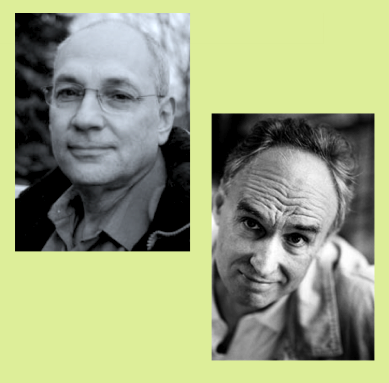 Taken from last year's Massachusetts Poetry Festival, and sponsored by Fulcrum: an annual of poetry and aesthetics, this friendly "debate" between Charles Bernstein and Frank Bidart — preeminent poets of two very different schools of American poetics — was recorded October 11th in Lowell, MA. Their conversation begins by highlighting those differences, as well as the question of whether there is a singular American poetics, or multiple, divergent aesthetics operating within contemporary poetry. Bidart begins by acknowledging the the classic "raw" and "cooked" mid-century anthologies — Donald Allen's The New American Poetry: 1945-1960, and the Hall/Pack/Simpson-edited New Poets of England and America, respectively — and cites the example of early critical responses to the poetry of Allen Ginsberg to demonstrate the partisanship present in previous generations. Bernstein furthers this idea, latching onto the Cold War's "us vs. them" mentality as spawning two oppositional responses to difference: a dogmatic and unbending self-preservation, countered by an engaged and respectful mindfulness of numerous perspectives. The conversation turns to an examination of some of the fault lines within the broad field of American poetics, the individual voices which cross boundaries and encourage intense interaction between differing sets of value — in addition to Ginsberg, poets such as O'Hara, Frost, Zukofsky, Pound and Stevens are mentioned. As the discussion evolves, matters of loyalty, individual and idiosyncratic use of the voice, the importance of setting and poetic space, the power of dichotomy, and the ways in which poetry is taught in schools are all touched upon, and the debate is followed by a question and answer period. It's worth noting that slight technical difficulties are present throughout the recording, in the form of occasional, brief skips caused by the recorder's dying batteries; however we feel that the overall value of this fruitful discussion merits its being shared in spite of these minor issues. After nearly an hour, these ellipses become overwhelming, and the audio signal disintegrates into a cacophonous and swirling maelstrom of clipped, jolting repetitions — while it's an unfortunate ending to a fascinating discussion, the result serendipitously becomes a sonic text unto itself, and so we've split the file in two, presenting this twelve minute-long accidental experimental voice piece (reminiscent of Niels Plenge's short video, "The Answer") under the title "(glitch coda)." You can listen to one or both of these recordings by clicking on the title above. We recently added a newly-segmented version of Tony Towle's May 12, 1979 Segue Series reading at the Ear Inn to his PennSound author page, essentially splitting up the reading's second part into individual files (the first part contains his long-form poem "Works on Paper" in its entirety). Towle's second set consists of the poems "Tomb," "A Few Drinks," "Fermented Studies (Parts 3 & 4)," "Red Studio," "Preface to Part 2" and "Social Poem," and you can read many of these poems, as part of a comprehensive survey of more than forty years' worth of Towle's written output, on the EPC's Tony Towle author page, which launched last year. There, you'll also find a brief bio and bibliography, as well as a number of interviews and critical essays (the latter, by Ron Padgett, Paul Violi, Charles North and Jack Kimball, taken from The History of the Invitation: New and Selected Poems 1963-2000), and a link to Towle's homepage. 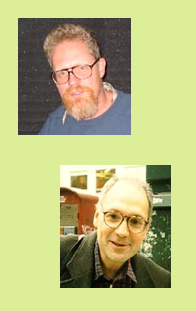 Towle's PennSound author page, also features a 2002 appearance by the poet on Tom Kelly's WKCR-FM radio program, during which he shared a dozen poems, old and new, with the listening audience, including "Prospects," "Clash of Artistic Temperaments," "Recapitulation" and "In the Coffeehouse." Click on the title above to enjoy both of these readings. Among a number of vintage Segue Series readings we've recently added to the site, this pairing of (then husband and wife) Bernadette Mayer and Lewis Warsh, recorded May 26, 1979 at the Ear Inn, seems particularly exciting. Though both poets are well-represented on PennSound, these recordings are among the earliest we've been able to make available for each. Mayer's set consists of a lengty excerpt from part four of her classic Midwinter Day, the manuscript of which was written the previous winter in a marathon session on December 22nd (though it would not be published until 1982). 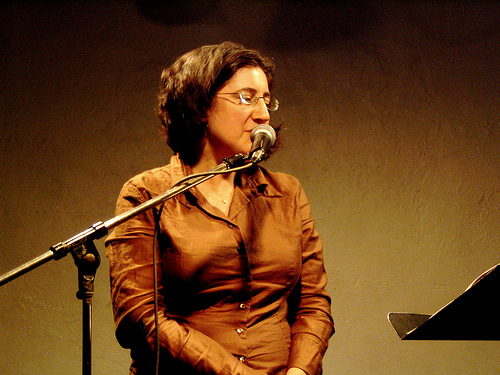 Mayer discusses the composition of this long-form poem during her 2007 Close Listening Conversation with Charles Bernstein, which you can hear on her PennSound author page, along with Segue Series readings from 1988 and 1991, her 1979 appearance on Susan Howe's Pacifica Radio program, her 1989 album with Anne Waldman, Rattle Up a Deer, a pair of recordings from the Line Reading Series, among many others. Also worth noting are a pair of recordings from UPenn, separated by nearly a decade: her 2007 reading with Lee Ann Brown, and a 1998 celebration of her work, which also features Ange Mlinko and Shawn Walker. Warsh's set features poems drawn from and around his 1978 collection, Blue Heaven, including "Introduction," "High Fidelity," "Where the Telephone Poles Begin," "Untitled," "Spring Fever," "Walking Through Air," "To Have an Eye To," "Long Distance," "4/13/79" and two separate pieces titled "Song." On Warsh's PennSound author page, you'll also find a handful of readings spanning the past three decades, including a pair of Segue Series readings from 1982 and 2005, along with recordings as part of POG Sound and the Line Reading Series. In the near future, we'll be adding Warsh's reading in Philadelphia as part of the Chapter and Verse series, recorded last September. 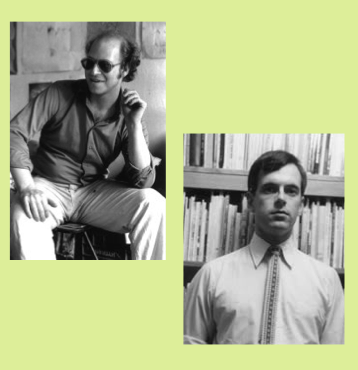 To wrap up a week of selected new additions from the Segue Series' tenure at the Ear Inn, we're highlighting a pair of recordings by Tim Dlugos (right) and Jim Brodey (left) — two poets whose lives were tragically cut short by AIDS in the early 1990s, who are also united by their inspired preoccupation with popular culture, and the fact that they're criminally under-read by contemporary audiences. Dlugos' all-too-brief seventeen-minute set, dating from a October 21, 1978 pairing with Joe Ceravolo (a recording previously mis-attributed to the St. Mark's Poetry Project), begins with his "Sonnet for Eileen Myles," and also includes the poems "Je Suis Ein Americano," "Poppers," "A Day for Don and Vladimir," "Some," "American Baseball," "Great Books of the 1950s" and "Gilligan's Island," all of which remind us not only of the poet's wicked sense of humor, but also his prodigious talent for celebrating the kitsch glories and televised tragedies which shaped mid-century American life. We're proud to be able to share this recording with a wider audience, and look forward to the possibility of a rumored forthcoming Collected Poems (edited by David Trinidad) that will allow a new generation of readers to discover Dlugos' work. We move forward eight years to March 1, 1986 for Jim Brodey's reading with Clark Coolidge (who'd edit the posthumous collection Heart of the Breath: Poems 1979-1992). It's quickly evident that Brodey is in exceedingly good spirits and among friends this afternoon, which is appropriate, given that his introductory poem manages to name-drop the majority of the New York School's second generation, as well as many of their poetic contemporaries and non-poetic luminaries including Sly Stone, Patty Duke, Lucy Baines Johnson and John Rambo. His raucous thirty-seven-minute set also features (among many others) the poems "New York Blues Dawn," "Carburetor," "Sky Instructs City," "Toxididy" (a 1974 collaboration with Steve Carey), the play "Heaven in Two Pages," and an excerpt from the prose piece, "Nameless," along with a selection of his idiosyncratic "name poems," including "Peter Seaton," "Allen Katzman," "Franz Kline," "Art Farmer" and "Bob Rosenthal." You can also hear Brodey's 1979 performance of "Homeward Bound," on The World Record: Readings at the St. Mark's Poetry Project 1969-1980. Click on the individual links above to be taken directly to either reading on PennSound's Segue Series at the Ear Inn homepage, where you can listen to dozens of other readings recorded during the series' first two decades. Today, we're taking a break from recent Segue Series additions to highlight this reading by Charles Bernstein and Chris Mason, recorded at legendary Washington, D.C. bookseller Folio Books sometime during the winter of 1978. Bernstein's set showcases selections from a number of his earliest collections, including 1976's Parsing ("Roseland") and 1978's Shade ("St. McC," "Soul Under," "For —"), along with the (at the time) forthcoming Poetic Justice ("Faculty Politics" and "Palukaville"), and the chapbook Senses of Responsibility ("As If the Trees by Their Roots Had Hold of Us" and "Loose Shoes"). This reading is the third of a trio of vintage Bernstein readings we've posted in the recent past, joining a 1983 reading at the St. Mark's Poetry Project and a 1980 recording from Harvard's Woodberry Poetry Room. It's also worth noting that listeners can read along with scanned facsimiles of several of Bernstein's early books at Eclipse. Mason's set begins with a trio of poems — "When the Moon is Full, You Will Have Plenty of Dough," "In Time to Pay the Rent, Etc." and "The Interruption of a New Machine" — all of which are dedicated to Marshall Reese, and draw upon a common lexicon, not unlike Ted Berrigan's The Sonnets. He follows this up with a story, "Oh, Don't the Dew Seem Tasty?" and the poems, "Wild Thing," "Food Behaves Towards Humans" (performed with Kirby Malone), "Sonnet," "Christmas Poem," "Poem for Donna," before concluding with "Chairman Mao Talks to the People." You can listen to Mason's reading on his new PennSound author page, which also contains a Segue Series reading from the Ear Inn, recorded twenty-four years ago today, and his contribution to last January's launch party for Jackson Mac Low's Thing of Beauty. There's also a link to our Old Songs page, which features Mason and Mark Jickling's musical settings of classic Greek poems. We've just created a special event page today for State of the Union: a Poetry Reading, which took place at the CUNY Graduate Center's, Amie & Tony James Gallery on October 30, 2008. 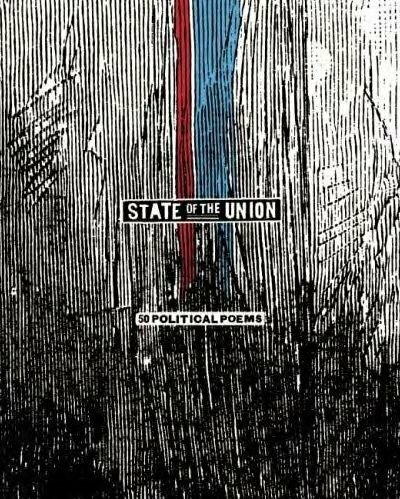 Recorded just days before the U.S. presidential election, the reading commemorated Wave Books' anthology, State of the Union: 50 Political Poems — which featured politicized verse from some of the most exciting names in contemporary American poetry, including Anselm Berrigan, Peter Gizzi, Fanny Howe, James Tate, CAConrad, Frank Sherlock and John Yau, among others — as well as its companion blog, PoetryPolitic, which we wrote about on PennSound Daily last October. On our State of the Union page, you can hear brief individual sets from the ten poets participating in the evening's proceedings — Rachel Zucker, Mathias Svalina, John Ashbery, Elizabeth Willis, Dan Chelotti, Thomas Sayers Ellis, Eileen Myles, Caroline Knox, Nick Flynn and Azareen Van der Vliet — each of whom read their contribution to the anthology, and in some cases share additional poems which reflect similar political agendas. MP3s of the complete eighty-minute reading are also available, split into two halves, and the page is augmented by photographs by Annemarie Poyo Furlong, including shots of all the participants. You'll also find a link to Wave Books' site for the State of the Union: 50 Political Poems, all royalties from which will be donated to Swords to Plowshares, a not-for-profit organization devoted to reducing homelessness and poverty among veterans through advocacy, public education and partnerships with local, state and national entities. Click on the title above to start listening. Fresh on the heels of our recent additions of a number of radio broadcasts featuring John Ashbery, we have this pair of appearances on Susan Howe's Pacifica Radio Poetry Program, which aired on New York's WBAI-FM in the spring of 1975. The setlist for Ashbery's first program, dating from May 14th, is drawn almost exclusively from his most widely-acclaimed volume, Self-Portrait in a Convex Mirror, published that same year, and winner of the triple crown of major book awards for 1975 (the Pulitzer Prize, the National Book Award and the National Book Critics Circle Award). In addition to "Forties Flick," "Worsening Situation," "As You Came from the Holy Land," "Scheherezade," The Tomb of Stuart Merrill," "The One Thing that Can Save America," "As One Put Drunk into the Packet Boat" and "Oleum Misericordiae," he begins with a pair of poems that would make it into his next collection, 1977's Houseboat Days: "Business Personals" and "Syringa." Appearing on Howe's program again, three-and-a-half weeks later, Ashbery shares a half-dozen poems from the Houseboat Days manuscript, including some of it's finest offerings — "Daffy Duck in Hollywood," "And Ut Pictura Poesis Is Her Name," "Unctuous Platitudes," "Explaination," "On the Towpath" and "Mixed Feelings." Interested listeners can hear dozens more recordings of John Ashbery on his PennSound author page, and we'll gladly point you towards another hidden gem: our page housing ten additional programs from Susan Howe's Pacifica Poetry series, including conversations and readings by a breathtaking roster of poets, including Helen Adam, Bruce Andrews & Charles Bernstein, Elizabeth Bishop, Barbara Guest, Bernadette Mayer, Maureen Owen, and Charles Reznikoff. Of course, you'll also want to check out Howe's own PennSound author page, where you'll find a number of readings spanning the past three decades.